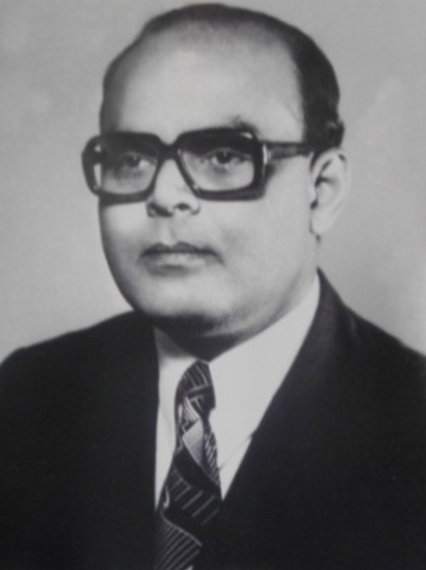 Dr. Prafulla Chandra Bora (born on Oct.1, 1931) assumed the office of the Vice-Chancellor, Assam Agricultural University, Jorhat on August 9, 1987 and completed a full term of 5 years on August 8, 1992. Dr. Bora, a graduate from the erstwhile Assam Agricultural College, Jorhat obtained his Master’s degree in Agriculture (Plant Physiology) from Banaras Hindu University, Varanasi in 1956. He started his professional career in the same year, as Lecturer/ Assistant Professor of Agricultural Botany in Assam Agricultural College (later renamed as College of Agriculture, under AAU) and promoted to the rank of Professor in 1963. He joined the University of London in 1965 for his Doctoral Research. After obtaining Ph.D. degree with credit in 1968, he visited several universities and research institutes in France, Spain, Italy, Sweden, Germany, Switzerland and Greece under the Colombo Plan Fellowship programme sponsored by the British Council. On October 26, 1968, he joined as the founder Professor and Head of the Department of Tea Science & Technology (later renamed as Tea Husbandry & Technology), AAU, Jorhat. He planned and organized Tea Husbandry & Technology as entirely a new specialised professional course, not available elsewhere in the world. The sincerity, hard work, devotion, dynamism and farsightedness of Dr. Bora in all his efforts and initiatives to build up a strong department of excellence brought reputation within a few years of its existence. As a postdoctoral research fellow of the International Development Association (Education Project), Dr. Bora spent four months in Tokyo University, Shizuoka University and NEIT, Japan during 1976. As a part of the study visit, he also spent 2 months in 8 countries of the Fareast studying the R & D activities in agriculture. Dr. Bora took special interest and initiative to provide technical support to the “Small Tea Farming Enterprise” initiated by the educated youth of Assam. He also served the Faculty of Agriculture, AAU, Jorhat as Dean from 1980 to 1985 before taking over the charge of Vice-Chancellor, Assam Agricultural University, Jorhat. Dr. Bora was a successful teacher having published over 60 research publications in national and international journals. A man of strong will with cool temperament and pleasant personality possessed the kindest of hearts, which made him approachable and adorable to one and all. He expired on June 27, 2005. The memory of this great academician and administrator will linger in the hearts of the AAU fraternity forever.